On October 29 the Austrian Chapter of the International Advertising Association (IAA) hosted the Effie Awards Austria Gala. There was one Grand, six Gold, six Silver, and eleven Bronze Effie’s awarded at this year’s ceremony. Around 600 guests from the advertising and media industry attended the event which was hosted by IAA President Mag. Richard Grasl. The ceremony was held in a new location this year, the Vienna Volkstheater, and the awards were presented by the chairman of the jury, Roswitha Hasslinger. The Grand Effie was awarded to Vienna North and Carat Austria for the campaign "Opel Airmail" on behalf of General Motors Austria. Richard Grasl stated: "The entry submissions proved once again the high quality of the Austrian advertising industry, and showed that the IAA is a unifying organization of clients, agencies and media. 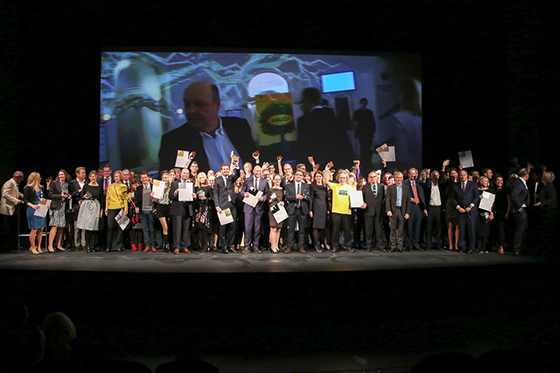 For the first time we were able to award newcomers in the industry in the new category ‘Newcomer.’ I congratulate all the winners and thank the main sponsors ORF-Enterprise, IP Austria, and the sponsors of each category that have supported today's gala." The most successful agencies of the night were DEMNER, Merlicek & Bergmann, followed by PKP BBDO, and Wien Nord. A complete list of winners can be found on the IAA website here.